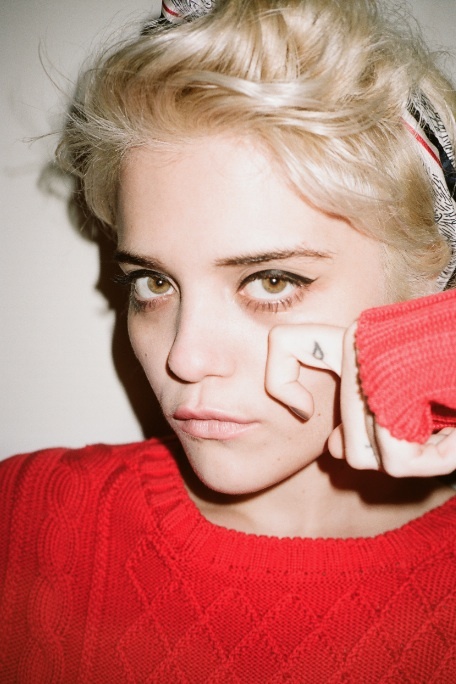 Following the debut of her successful album Night Time, My Time, Sky Ferreira joins forces with Maison Kitsuné as the face of the Spring 2014 collection. The “New Wave” themed collection for spring is inspired by New York’s young artists and musicians on the rise. Captured by Henrik Purienne, the campaign brings a Parisian flavor to life in the big apple. Perfect FashionDailyMag style. “A French company that’s breaking all the rules” Maison Kitsuné – Cleverly bridged music, fashion and design, this young and unique brand is the brainchild of Gildas Loaëc and Masaya Kuroki. Redefining “classics” with distinguished clothing for men and women, Maison Kitsuné combines the philosophy of tradition with a modern attitude and a Parisian twist.